Discussion relating to the past and present operations of the NYC Subway, PATH, and Staten Island Railway (SIRT). But how could they be made to work with moving blocks? 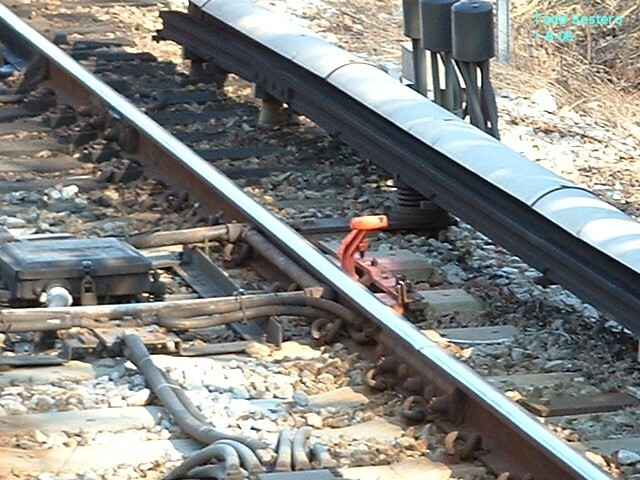 In fixed positions they would nullify the advantage of having moving blocks in the first place since the next arm to the rear of a train would have to be raised. Any additional "belt-and-suspenders" protection would have to be electronic. Okay, let them put in the moving block system without trip-arms anymore. And just wait 'til the first glitch happens and there's a rear-end collision. What a scandal that's going to be! The system as a whole plus the trains are programed to stop everything if anything goes wrong. If the system loses contact with a train, it transmits an all stop order. Does anybody know whether London ever got a moving-block system working on the eastern end of the Jubilee Line? When the extension was built there was no provision for a fixed-block system because moving-block would be in place from the get-go. As I understand it, it wasn't, and they had to put in a conventional fixed-block system after all, with moving-block to be installed later. That was some years ago, and if a moving-block system was finally installed and has been in service for a significant amount of time, maybe someone knows what sort of fallback is in place to cope with en route failures and whether it's ever been put to the test. ExCon90 wrote: Does anybody know whether London ever got a moving-block system working on the eastern end of the Jubilee Line? When the extension was built there was no provision for a fixed-block system because moving-block would be in place from the get-go. As I understand it, it wasn't, and they had to put in a conventional fixed-block system after all, with moving-block to be installed later. That was some years ago, and if a moving-block system was finally installed and has been in service for a significant amount of time, maybe someone knows what sort of fallback is in place to cope with en route failures and whether it's ever been put to the test. The Jubilee has been TBTC for some time now 2011 IIRC. Thanks. I'm sure that if there had been a rear-end collision since then that the moving-block system failed to prevent there would have been wide coverage in the trade press and elsewhere. MattW wrote: I now for fact that BART, WMATA and MARTA do not use trip-arms. WMATA's issues aside, the other two systems are quite reliable. Now I know MARTA doesn't use CBTC, and I'm pretty sure WMATA's doesn't count as CBTC and neither would BART's system, but they do work pretty well without that mechanical backup. Whether the simpler electronic fail-safe could be used on NYC's system, I don't know. Except that (factually speaking) MARTA actually does use train stops. Their quick reaction times cannot be bested by any communications based system. Interesting, I've paid very close attention to the RoW and have never caught one of those. But I'm not 100% sure those are part of the signal system. This view makes them look more like a temporary fail-safe device for track workers or something, but there's not a good view of the whole area. http://www.railfanguides.us/ga/marta/marta6i.jpg I'll have to pay more attention next time I ride. But, anyways, now back to your regularly scheduled topic. So after Flushing, the Queens Blvd line is next. I would think that's an odd choice; it doesn't encompass the full length of any single line (only going so far as 50th St in Manhattan), so the services that use it (E, F, M, R) will only be CBTC for a portion of their routes. Will the upgrade include the Archer Avenue line? That would make sense. I'd also think there are easier targets such as some of the Bronx Lines, like the 1, 2, 4, 5, and 6. For that matter, you could do the IRT express tracks in Manhattan over night and on weekends as well, with either the 1 or 6 compensating. It's only going to stretch from 50 St/8 Av to around Union Turnpike. I guess at the moment the MTA doesn't see the need to cover anywhere else. 50th St. is at least nominally where the Queens Blvd line ends. It really seems odd not to do it all the way to Jamaica Center and the end of the Archer Avenue line for the Upper Level E (B2 IND). Of course, the Archer Avenue line is relatively new (1988). But you're still leaving out the stretch beyond Union Turnpike and the beyond Briarwood. I'll take a guess that the reason it's only being done up to Union Tpk. 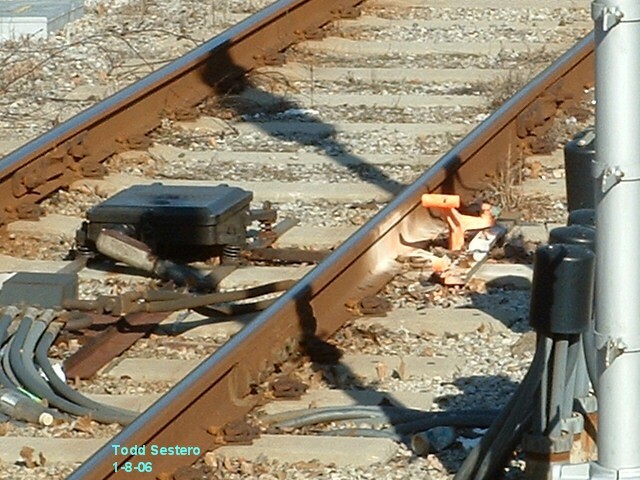 is that there is no great need to increase track capacity beyond that point where the line splits. But, from Union Tpk. to Manhattan they need to increase track capacity so more trains can be run to reduce overcrowding. I doubt that's the real reason since, ultimately, the entire will be equipped with CBTC. And remember, line capacity (TPH) is determined by terminal layout. Fan Railer wrote: I doubt that's the real reason since, ultimately, the entire will be equipped with CBTC. And remember, line capacity (TPH) is determined by terminal layout. ....and the longest dwell time at an intermediate station. Grand Central limits the Flushing line in a big way, CBTC or no.